We don’t have a television, but even better: a lego table. This place keeps me up to date on whatever is interesting and important to my second grader. Another way I get to see the world through his eyes. 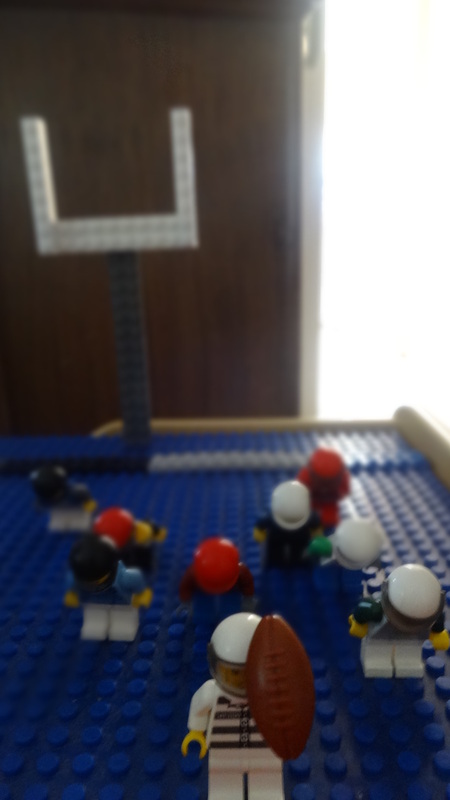 I think my favorite part (because I really don’t like football) is that the little lego guys all have colorful helmets that are bowing forward, while the guy in front is standing straight up. It’s those little details that Paul is noticing and imitating in his play.